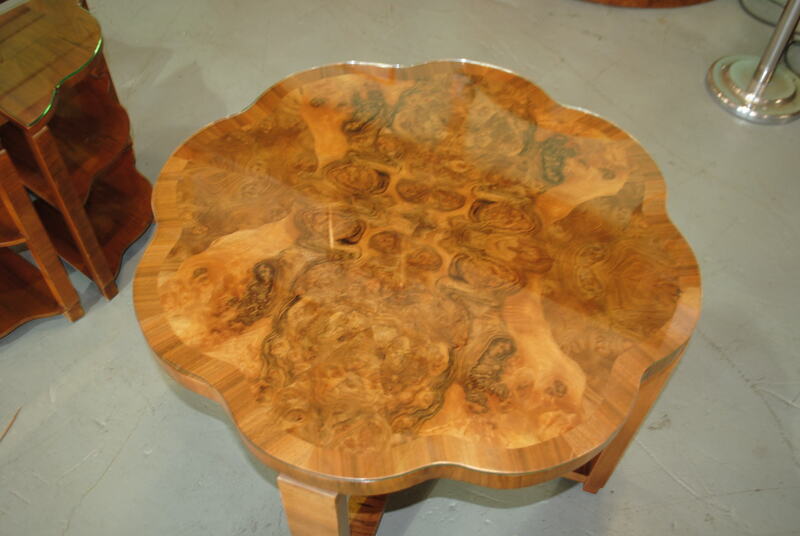 Wow , look at these heavy figured walnut veneers. 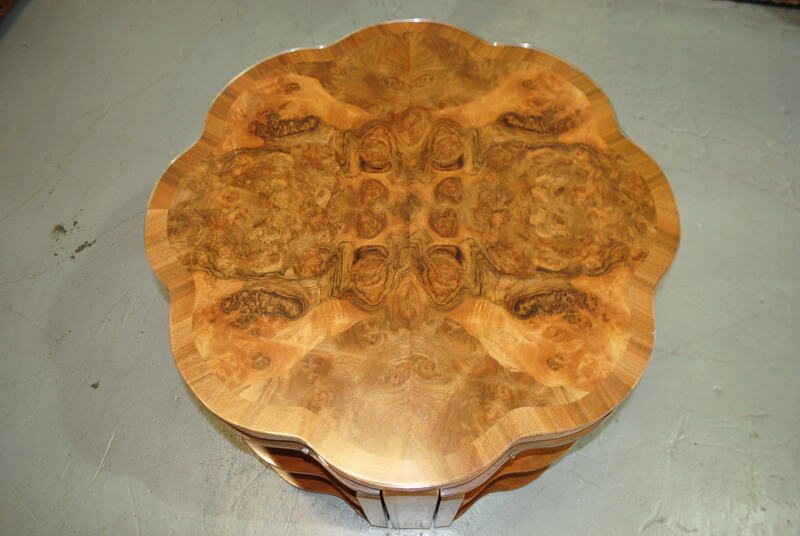 Mesmerising . 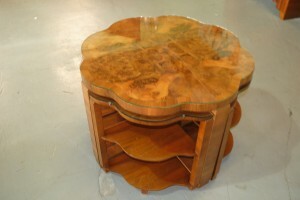 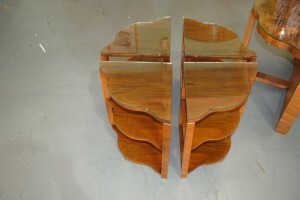 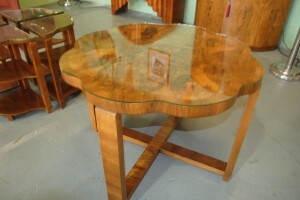 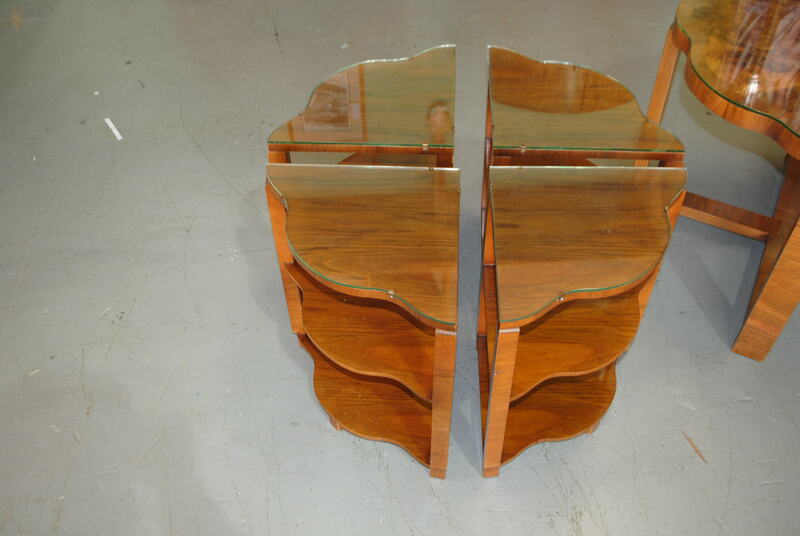 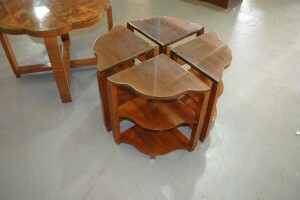 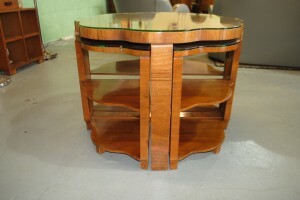 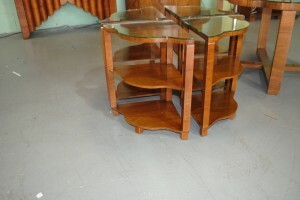 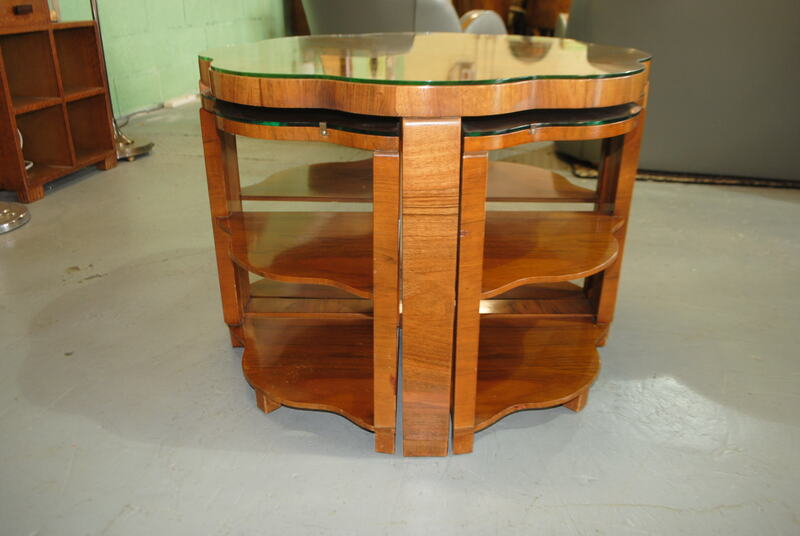 Beautiful Epstein nest of 5 tables with full complement of protective glass tops. 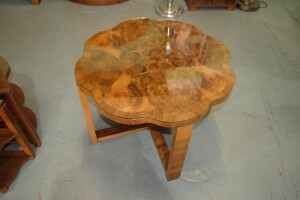 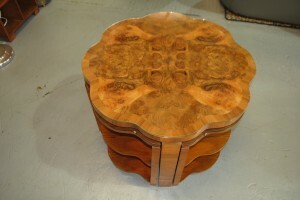 Stunning quality walnut veneers used throughout which tells me this was one of the early rarer Pre war pieces made by Epstein .